The Bauhaus has its roots in Weimar (Germany) and became world famous for the combination of arts and crafts. The Bauhaus was influenced by such great names as Walter Gropius, Mies van der Rohe or artists such as Henry van der Velde, Johannes Itten or Marcel Breuer. Its values still shapes contemporary art and architecture even today. At the beginning of April, on 05.04.2019, the Bauhaus will be 100 years old and will celebrate its anniversary with the opening of the new Bauhaus Museum in Weimar. The architect and designer FELIX SCHWAKE was commissioned to design the museum's store. Early on in his education at the Mies-van-der-Rohe-School in Aachen (Germany), he came into contact with the ideals and values ​​of the Bauhaus. 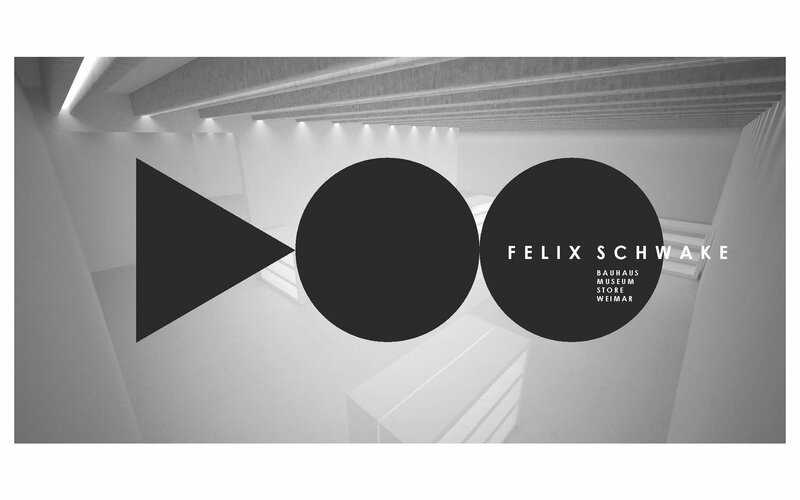 FELIX SCHWAKE understands architecture as a background for life. Following this maxim, the concept for the museum store was also developed. Before we developed the architecture, we developed the concept. 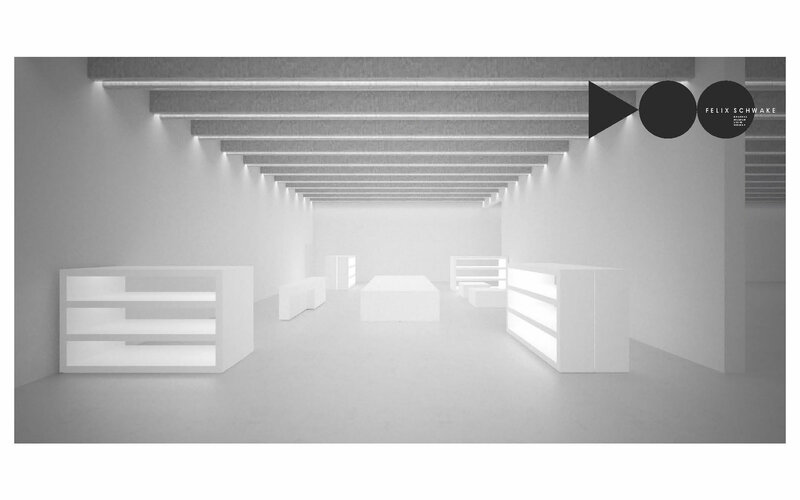 The spatial character of the museum should not be disturebed due to the integration of the store. 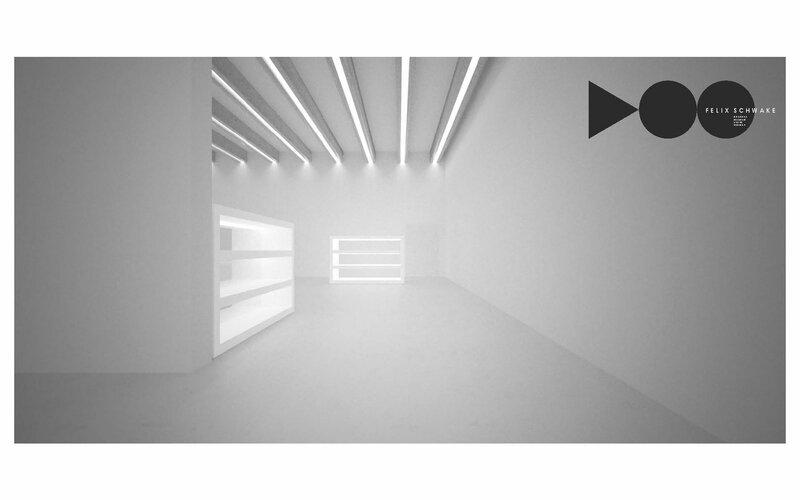 At the same time, however, the brand "Museum-Store" should also have its own, independent and recognizable spatial image. 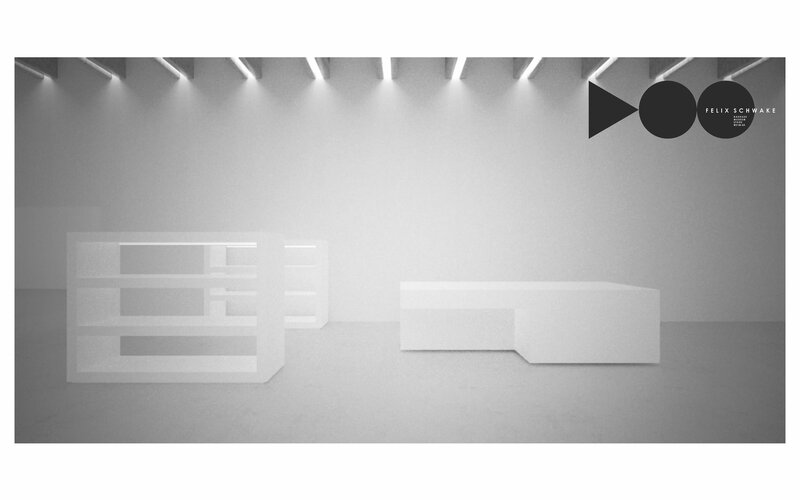 Protecting the museum's minimalist, open space, we have therefore planned a store concept that stands in the area of ​​tension between "open spatial aesthetics" and "necessary sales function". The requirement for consistently open space was solved by mobile rollable shelf system, which is moved after closing time as a barrier. In addition to the protective function as an access barrier, the glass rear wall of the single shelves ensures "grap protection" of goods. That extends the function of the shelf as a store window in which goods are presented while the shop is closed. During opening hours, the shelves are free positioned in the space - glass back to glass back -. Because of its transparent glass back, the shelves allow free views through the whole space and preserve the permeable spatial aesthetics. If the mobile shelves are positioned in such a way that the glass backs points to the outside, a showcase situations results which ensure an all-round grap protection of the goods. So, with a large number of visitors operation of the shop is also possible with little sales staff. The shop owner generally wished high flexibility in presenting products. "Ideally, the exhibition should be able to change every day. In that way that even more frequent visitors of the museum store can constantly see new spatial presentation of goods." Even commodity focuses such as the "book of the day" should be able to be created into the space with little effort for the sales staff. Therefore, the entire concept consists of "handy" module dimensions, kept mobile on wheels. 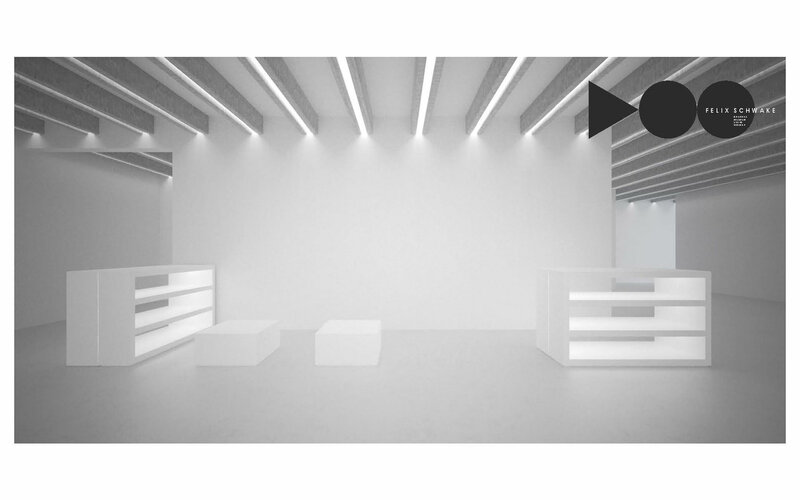 Pedestals and shelves are planned in a strict grid and can therefore be combined into large and small stages. Because the museum does not provide space for storing goods, one of the biggest challenges was to store the goods warehouse on the shop floor. Each cubic centimeter inside the sculptural store elements was therefore equipped with storage space. 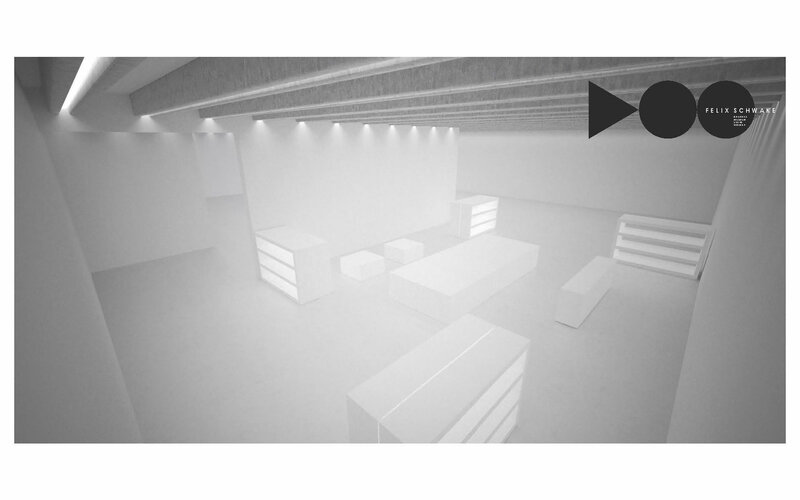 On the one hand, the mobile, monolithic elements create the puristic background which is typical of FELIX SCHWAKE with an own recognizable aesthetics for the museum store, and on the other hand, original functional needs of a shop including storage space are solved on the shop floor.